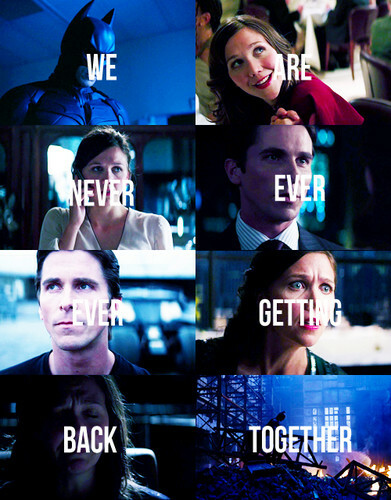 Bruce & Rachel - We Are Never Ever Getting Back Together ♥. . Wallpaper and background images in the Leyton Family<3 club tagged: tumblr albiee the dark knight rachel dawes bruce wayne batman christian bale maggie gyllenhaal taylor swift.